Play Nitride has showcased several RGB Micro LED full color displays for automotive applications at SEMICON Taiwan 2018. The company has presented its capability of Micro LED chip production and mass transfer with its unique PixeLED Display technology. 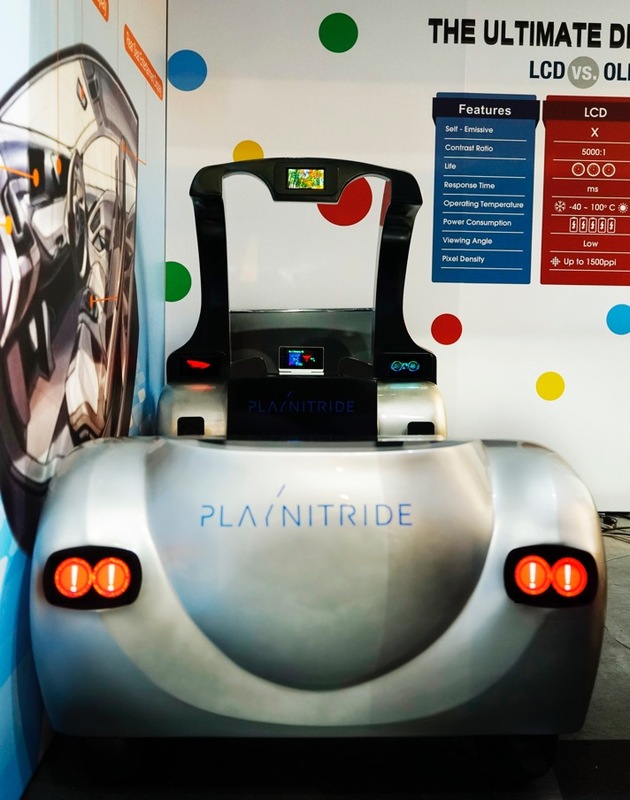 One of the RGB Micro LED automotive panels demonstrated by Play Nitride is a head up display (HUD) with a 50 percent transparency and high brightness to provide instant information of the vehicles for drivers. In addition, displays for dashboard, rear view windows and in-car entertainment system were also presented. Play Nitride has adopted RGB full color display technology to perform wide color gamut with RGB Micro LEDs. Play Nitride’s PixeLED Display technology is featured with its unique PixeLED chips design and its mass transfer technology which can achieve the yield rate of 99.9 percent when mass transferring Micro LED chips sized below 20µm to various substrates for different applications. According to the company, it has continued to advance its technology for mass transferring process and its SMAR.Tech, a technique for addressed repairing, has reached a milestone. Play Nitride said it will launch display products using PixeLED Display technology in 2019, providing solutions to its clients.